This is our final week of Preparedness Month and daily blog posts. In previous weeks, we talked about being prepared at the College, making an emergency plan, and making an emergency kit. This final week we will discuss how to be prepared for specific emergencies that are common to our area. You frequently hear NOVA’s Office of Emergency Management and Safety encourage you to prepare and plan for “insert emergency here.” It can be confusing to recall recommended actions during different types of emergencies to keep yourself safe. If only there was an app to help us remember various emergency preparedness tips! While there are many apps out there providing emergency information, two are highlighted below that provide great information to help you be prepared for various emergencies. Submit photos of damage in your area to help first responders. 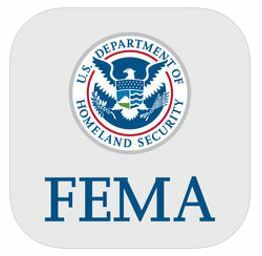 Several apps that provide tools and preparedness information you need every day. 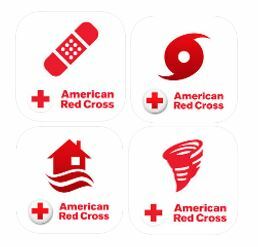 Apps include: first aid, pet first aid, tornado, hurricane, earthquake, flood, and many others. Monster Guard app for kids aged 7-11 that teaches preparedness for real-life emergencies at home. Additionally, there are two websites the Office of Emergency Management and Safety recommends to review. Ready.gov is a tool to educate and empower the American people to prepare for, respond to and mitigate emergencies, including natural and man-made disasters. Discover how to best prepare for natural disasters and emergencies impacting Virginia and how to find resources for recovery action plans. Remember – emergency preparedness starts with YOU and can save your life! Take the time to review this information prior to an emergency so you will be prepared to ACT.